Dealing with employee claims can be messy as different issues tend to arise. Issues like the time it takes to file a claim, safeguarding issued receipts, the flexibility, and availability of such claim to the general employees tend to be a pain to both the employee and the one administering the claims. With a Human Resources Management System (HRMS), all these functions can be carried out with a snap of the fingers! 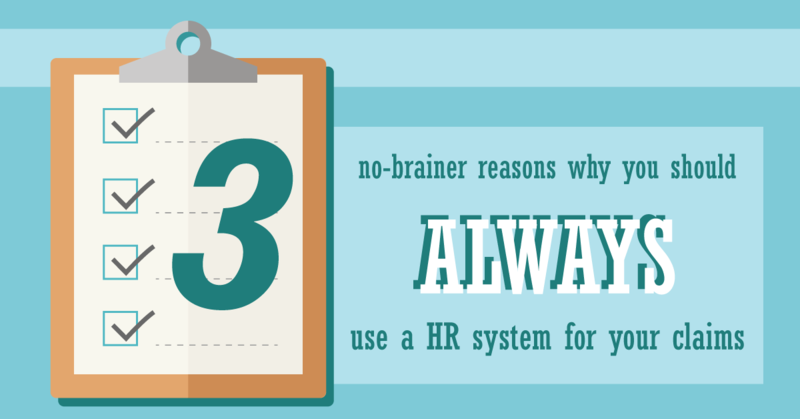 Here are 3 reasons why it is recommended that you use an HRMS for your claims. Processing employee claims is a crucial activity that companies perform frequently. The process is, however, complex owning much of this to manual methods and different systems which can lead to errors and delay. In contrast to this, however, with an HRMS, the claims of customers, employees, third parties and agents can be dealt with without stress. An HRMS provides a simple solution whose major aim is to project company financial processes in a positive light. This increases productivity, ensures accuracy, improves services and ultimately, reduces the cost of operation. Instead of the messy and untidy way of dealing with claims, the HRMS provides a flexible way of going about it. Technology which is fused into the system provides a centralized information hub that allows you to store everything in a cloud application which can be accessed at any time with ease. Similarly, an online platform for storing all claim related activities connotes that users do not have to worry about misplacing receipts. It also provides a mean for employees to submit their claims under real-time from any part of the world. As a plus, with this feature, the system can be customized to give room for diverse claims while keeping the limit infinite. The word paperless connotes “no paperwork”. A world where you don’t have to be seen with a mountain pile of paper in front of your desk or in your arms. An HRMS like Payboy provides an automated method suitable for managing claims. This allows claims and payroll to be tracked systematically and efficiently. The managers: it allows users to monitor and gain effective control over expenditures and allocations. The electronic submission reduces the burden of claim submission. The administrators: the Human Resources Management System protects the administrators from the dangers of inaccuracies. The system is designed to implement the policies of the organization. The employees: human resources management system relieves employees from the gruesome ordeal of claim submission. It allows them to track their own claim without needing help from anyone and ensures that information is made available at their fingertip. Payboy is a highly versatile and mobile Human Resources Management System that gets things done anywhere, anytime. Wondering how else Payboy can help in your claims process? Find out more here!